Tax Write Off – Your real estate taxes and the interest on your mortgage are deductible from your income tax. Pride of Ownership – There is no landlord telling what can or cannot do. The home is yours. 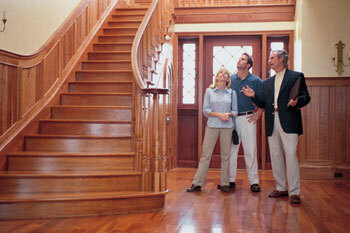 You can do whatever you want to your home and reap the benefits and enjoyment of your investment. Investment – Payments on your mortgage loan mean you are acquiring a major possession; instead of rent, you own more and more. You are building equity in your own investment, not your landlord’s. Financial Independence – Most people start on the road to financial independence through home ownership. With a fixed rate loan, your principal and interest payments remain the same for the full term of your mortgage while your rent usually goes up as the cost of living increases. Stability – Remaining in one neighborhood for several years gives you a chance to participate in community activities, lets you and your family establish lasting friendships, and offers your children the benefit of educational continuity. Equity – Real estate is also a great way to keep a hedge against inflation. While some homes do appreciate in value more quickly than others, real estate usually keeps pace with inflation. Satisfaction – Home ownership offers special advantages that make life more enjoyable; backyard barbecues, large family gatherings during holidays, a home workshop, a chance to enjoy your family’s companionship in the privacy of your own home.